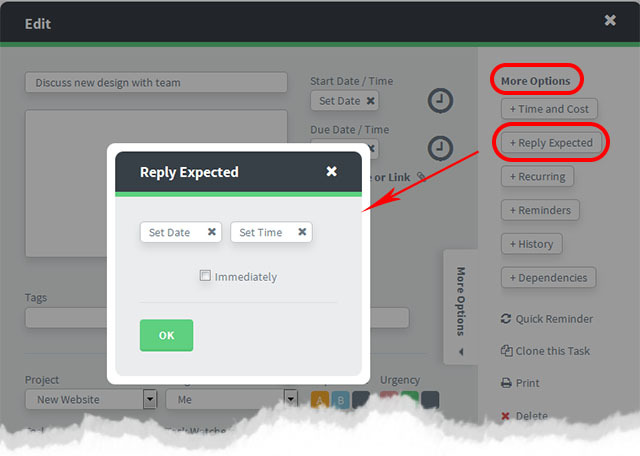 This feature lets you set a date when you are expecting a response from the person who has been assigned the task. Note: This is not the same as when the task is due. For example you might have asked the assigned to discuss something about the task with you.